I would like to write the kind of stories that people read over and over. I don't know if any other writers care about that at all. After all, to be read even once is an honor. And yet, I wouldn't mind writing a book that turned out to be someone's favorite, that could stand up to multiple readings. Do you want your work to be reread? Are you lonely when alone, or do you treasure your solitude? Or sometimes it's the former, other times the latter? I guest posted about these issues, and the difference between solitude and isolation, over at Shrinking Violet Promotions (the blog for introverts). In my current project, one of the things I'm working on is making sure there's enough tension in every scene. "First we did this, then we did that," isn't necessarily compelling. So I'm trying to make it, "We did this because we wanted that." "We tried for this, but we didn't expect that." "We did this in spite of that." "We had to choose between this and that." I'm asking what's at stake in each scene, and what changes, and how the story moves forward. Looking beyond what happens to why it happens that way. "All true. 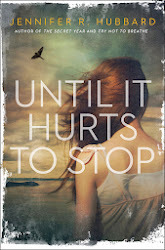 But that doesn’t mean we don’t crave a pat on the back sometimes ..."
--I greatly enjoyed Saundra Mitchell's take on waiting, which is something writers do a lot of: "... Something MIGHT happen, so you stop doing and start waiting. You burn up your creativity with scenarios. They’re reading it right now. They hate it right now. They’re going to make an offer. They’re spilling coffee on the pages. It’s going to sell! It’s never going to sell; your career is over, never going to start, and this is worth a million dollars and will be a bestseller. ..."
--Then there's this piece I ganked from links via Stephanie Burgis. It's called "humor from historians," but anyone who's ever done academic research and seen peer-review comments may get a chuckle out of it. It's a thoroughly, wonderfully ridiculous answer to the question, "How many historians does it take to change a light bulb?" I appreciate the concern shown by some readers over my last post. At the moment that I wrote, "Some days are for acting more than reflecting," I was actually in the midst of celebrating something nice in my personal life. But I try to find some universal point in my posts, and the idea that sometimes we write, and sometimes life keeps us a little too busy for that, can certainly apply to the not-so-fun events in life as well. In fact, earlier in the week, I didn't post because I was temporarily under the weather. And during a brief internet check last night, I saw the sad news about the untimely passing of author Bridget Zinn, which only reinforced my feeling that yesterday was a day for me to dive into life with both hands. Which I did. Not that writing isn't an important part of my life. It's always been there, ever since I could wrap my fingers around a crayon, but I moved it to the front burner shortly after I finished graduate school. For years, I had been writing "on the side," with the main course being school, or work, or romance, or travel. I wrote short stories and I would try a novella-type book draft from time to time. Writing a book was always something I was going to tackle seriously "someday." There came a point, though, where I got tired of having writing on the back burner of my life. I moved it to the front burner and committed to daily writing. And it's probably no coincidence that that's when I started seeing more progress in my writing, too. Sometimes people ask how I can write after a full day at another job, and it's because writing replenishes me. Hiking is the same way. These activities may tire me physically and mentally, but they recharge my emotional and spiritual batteries. We all spend parts of our days on some things that drain us and others that restore us. I have plenty of obligations, plenty of things that I must do, plenty of things that I do for my own or someone else's good. Those things drain me, even if I enjoy them and find them worthwhile. But writing is one of the fun parts of my day. Writing gives me back some of the energy that other parts of my schedule take away. And so I give myself permission to make time for it regularly. At some point, we realize life passes quickly, and if there's something we've always wanted to do with this life, we should start on it now. Sometimes the events at hand are such that you must participate, get on board. There will be time to think about them and write about them later. Some days are more for acting than reflecting. There's a scene in my work-in-progress that I initially thought was key. The scene's main event is mentioned on the first page of the book; I threaded it throughout the book, and placed a fleshed-out version of the scene late in the book. Then I changed a couple of things about the event in that scene. Then a couple more. I added other scenes that do some of what that scene used to do. Now I'm at the point where I'm questioning whether I need the scene at all. Taking it out would take the book in a slightly different direction. It's not a huge plot shift--more of a shift in characterization. But it amuses me that this scene, which was a big part of how I first found my way into this book, may end up on the cutting-room floor. It's like a sketch line that gets erased or painted over; it's the basting stitch that gets pulled. If you had told me even a week ago that this scene might not be necessary, I would have scoffed. But sometimes you tap on a wall and realize that not only is it not a load-bearing wall, it's actually in the way of what you need to do. But of course, not quite everyone is at BEA. I've been hosting a #notatBEA party on Twitter for those of us not at the Book Expo this week. It's come as you are and do what you like, since the beauty of a virtual party is that nobody has to clean up after it! Dancing, virtual snacks, and silly tweets are encouraged. 2) I figured that his proximity to writers had shown him how crazy a life this is (Hard work and constant rejection! Boy, there's an attractive package!) and that he must be saner than the rest of us. Jacob Wonderbar and the Cosmic Space Kapow, by Nathan Bransford. It's a fun middle-grade read about kids zooming through outer space, encountering talking mice with an attitude, a giant diamond, a space pirate, and a whole planet full of substitute teachers. Also, they must try to find their way home after they accidentally break the Universe. Unfortunately I can't tell you my favorite parts, because they are spoilers, but here is my favorite line, spoken by the space pirate: "'It's not easy being the one with a vision, but it's a burden I choose to accept.'" The whole tone of the book reflects the humor I first encountered in the author's blog--although the book is not without its serious moments, as the main character has big questions about what has become of his father. For those reading as writers, note the way that smaller obstacles and challenges come up in the course of the book to keep the pace moving, and how there's a rhythm to their step-wise resolution, so that the reader always has a reason to keep turning the pages. This would be a good model to study for action/adventure-driven books. Also, this is the first book in a series, yet the author wraps up enough of this book's plotlines to be satisfying, while leaving a door cracked open that provides room for the subsequent books. So it's a good example of that as well. Source of recommended read: Bought. I've been thinking of how so many myths and folktales revolve around the forbidden, around the mystery that is supposed to stay a mystery. In these stories, the protagonist's curiosity always overwhelms her (it is usually a woman, for some reason). She decides she has to know the mystery; she has to enter the forbidden territory. She does, usually to disastrous consequences. Think of Pandora opening her box, of Psyche shining the lamp on Cupid, of Bluebeard's wife unlocking his mystery room. And yet, as readers, we would not have it any other way. We simply cannot have a story in which the box remains closed, the mysterious husband remains masked, the locked room is undisturbed. We must know what's inside. This came home to me recently when I caught part of an old movie that my husband was watching: Kiss Me Deadly. The movie includes a mysterious suitcase, and in the movie's final scenes, the person who ends up with the case is warned not to open it. Although I have plenty of scientific bones to pick over how things unfold in the film, the ending is inevitable from a literary point of view. The mysterious box or room doesn't always have to lead to disaster, however. One book I read as a child, Look Through My Window (Jean Little), featured a mysterious locked box that turned out to have something wonderful inside. There are also locked boxes that reveal historical truths or magic spells. Chekhov famously observed that a gun mentioned in the beginning of a story has to go off later in the story. Similarly, I'll assert that a locked box present at the beginning of a story must be opened by the end. The locked box certainly ramps up tension and keeps readers reading ... just make sure you know what's in the box! One thing I had to learn when I moved from short stories to novels was how to write subplots. A short story generally carries only one plot line, and I wrote a bajillion short stories before concentrating on books. This may be why I tend to have a strong through-line in my books. While I'm drafting, I don't usually lose sight of the plot by taking too many detours. My trouble tends to be in the other direction: building in those subplots, fleshing out the book so that it's more than a skeleton. Subplots can also provide comic relief, with side stories that may be lighter than the main storyline. They can give us a chance to see into the worlds of secondary characters, rounding them out a bit more. I don't consciously plan out subplots. In fact, the sketchy not-really-an-outline plan from which I write a first draft focuses exclusively on the main plot. But as I write, I feel a natural rhythm to the piece: wherever the story needs a breather, or where an interesting limb pokes out that looks as if it will support the weight of a side story, or when a secondary character starts demanding more stage time, I see the potential for subplots. One of my biggest jobs in revision is usually editing the subplots: rearranging their components, enhancing them or pruning them back, taking care about where they intertwine with the main plot. How do you handle subplots? During last weekend's writing conference, when one of the instructors was lecturing on how to get in touch with characters, and those in the audience were taking notes with an intensity that suggested we were receiving a map to the lost treasures of Atlantis, my brain stepped outside itself. I had one of those detached, questioning moments of saying to myself, "Wow, look how we are concentrating so hard on--what? Imaginary characters! Characters who don't even exist! We put all this energy and effort into a mirage, and what's it all for?" But half a minute later, I answered my own question. In dissecting fictional characters, in putting them through their paces and observing them with the close focus we ordinarily reserve for our flesh-and-blood loved ones, we--or at least I, and I suspect most of us--are not only trying to understand characters. We're trying to understand human behavior. Maybe we're even trying to influence it, by illuminating something about it. We're not just telling a single story about a single character or experience; we're trying to say something universal. Even if our characters are not human (maybe they're aliens, or robots, or anthropomorphized animals), they are usually stand-ins for us. (By "us," I don't mean the writers, literally and specifically, but humankind in general.) I am passionately curious about why the world works the way it does, and why people do the things they do, and writing is one of the ways I work out some of these questions. Of course, I often end up with more questions than answers, but that's okay. It's part of the deal. Story-telling is deeply ingrained in the human experience. Characters are our better selves or our worse selves, or they get to test out the choices we might have made, or they make the mistakes we almost made, or they make the mistakes we made and remind us how we got out of them. They entertain us. They let us live another life for a while. To live more than one life in a lifetime--that's the privilege of reading and writing. Often while on retreat, as I did this year, I even write in longhand. 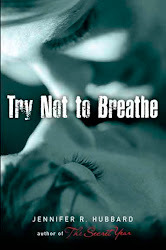 After the flurry of launching a debut novel in 2010, I really needed to slow down. I needed to sit staring out the window and listen for the story, giving it time to come to me, writing it at its own pace. I needed that space for ideas to develop, the knowledge that I would not be interrupted because I "only have an hour to write today" or "have to get up early for work tomorrow" or "must answer the phone" or "need to go get the clothes out of the washer." I had cleared this space in my calendar, and I took full advantage of it. I finished a draft of one project and worked on a few other projects. Mostly, I just let the writing happen. The retreat was flanked by other writerly activities: the Hudson Children's Book Festival, where I signed books, and the New England SCBWI writers' conference, where I took several craft-oriented workshops. Those activities nourished me in different ways. Today, I'm catching up on laundry, mail, and other chores. As I stand ready to plunge back into the chaos of regular daily life, I hold that silent calm, that listening, in my center. Judging from the comments on my last post, I'm not the only writer who needs to crank the engine a bit before starting on the writing journey. To ease the transition into a day's writing session, many writers recommend ending the previous session on a cliffhanger: mid-scene, where you know what's going to happen next. Or even mid-sentence. I don't do that--at least, I don't do exactly that, because I have a horrible short-term memory. If I'm in the middle of a scene, I know what I want to say next and how to say it. If I stop there, the next day I'll sit around asking myself: What was that perfect phrase I had for the melancholy way in which the heroine sweeps back her hair, just before she breaks her boyfriend's heart? The only words I can think of now are awkward, ill-fitting ... darn it, I had that phrase last night! Then I can start the next writing session with a specific image, something concrete and definite. Sometimes I delete my bracketed idea and end up writing a different scene, because something stewed in my head overnight and changed my plans. That's okay. My bracketed plans are there if I need them. And speaking of transitions, I'm making a brief temporary one myself. A couple of times a year, I unplug myself from the internet to remind myself what life is like away from the screen. I'll be doing that for the next ten days or so, and I look forward to seeing you all again when I rejoin the digital world. In the meantime, happy writing, happy reading, happy living! Getting started on a writing session is often tough. Pulling up that file, engaging those brain cells ... I would rather check my email for the forty-seventh time today. Surely someone has sent me something important in the last ten minutes! The brain wheels creak into gear. Where was I? Search for the row of asterisks that I always use to mark my stopping point, so that I can jump right to it. Okay, here we are. Reread a few sentences. Hmm. Got it. I feel the imaginary world now, rising around me. I'm slipping inside the characters' minds, seeing things through their eyes. I'm shaking words loose from that brain-bin where they all get stuffed when I'm not using them. The characters are moving and speaking now. I can't wait to see what happens next. I can't imagine my life without books, and that was even truer when I was a child. I was lucky to be able to get a hold of almost any book I wanted. Maybe not immediately, not as soon as I wanted it--my parents believed in gift-giving only on special occasions, and they thought otherwise I should save up for what I wanted. But eventually, through libraries and bookstores and careful management of my allowance, I would find a way to get the books I wanted. I hate to think of what I would have missed, growing up, if that were not true. So when Colleen Mondor talks about why she organizes the Guys Lit Wire book fairs and why those of us who participate do so ... my answer is: That's why. The thought of any kid who wants books not having access to them makes me crazy, especially when some of the books on this year's list cost less than five dollars. This time, the recipient of the book fair is the Ballou Senior High School in Washington, DC. Their library currently has less than one book per student; the ALA standard is eleven books per student. This school that serves about 1200 students has only twice as many books as I have in my house. If that makes you as crazy as it makes me, then hop on over to the book fair to see how you can contribute. Basically, you just click on the school's wishlist, select the book(s) you'd like to donate, and arrange to have them sent to the school--full instructions are at Guys Lit Wire. Out and about. Also: Setting. First up, I want to let you know about a couple of events. On May 7 (10 am - 4 pm), over 100 children's writers and illustrators (including me!) will be signing books and leading activities at the Hudson Children's Book Festival (NY). It's a stellar crop of authors (just to name a few: Amanda Marrone, Eric Luper, Jeannine Atkins, Jo Knowles, Kate Messner, Sarah Darer Littman, Michelle Zink ...) I'll also be appearing on a panel with Alissa Grosso, Wendy Mass, Colleen Murtagh Paratore, and Kristi Cook. I attended last year, and the enthusiasm in the room made it an incredibly fun event. If you're anywhere in the area, I urge you to stop by! Admission is FREE, and the books are for all ages: picture book through young adult. 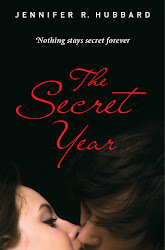 If you're anywhere in the Philadelphia area, and you read The Secret Year (or plan to) and want the chance to discuss it with other readers, it is the featured title at the Big Blue Marble bookstore's YA book club for their May 26 session (7 PM). More information about the store and the YA book club are here. I've been thinking about setting--the settings in which we live vs. the settings we find in books. Setting is one area in which I often crave the exotic, the sensory details of places in which I've never lived. It's often difficult for me not to view the setting in which I live every day as boring, commonplace, unworthy of description. Yet sometimes when a writer captures the small details that are so much like places that have been part of my life, I fall in love. This happened to me while reading The Centaur (set in 1947 Pennsylvania) and Main Street (set in early 20th-Century Minnesota). Although I haven't lived in either of those exact settings, I recognized little details. From The Centaur: a cocoa-colored welcome mat, the heady chlorine-scented air of an indoor pool, overheated high-school halls with their milky reinforced windows and waxy floors, the old dental sink (still in use when I was a child) with "the bright little bent pipe shooting water into it" and "the little comet-tail-shaped smear of rust" at the bottom of the circular basin. Main Street has several passages on people's parlors (souvenir ashtrays, school pennants) and kitchens (the drainboard soft from years of use and scrubbing) that remind me of real places. Whether familiar or not, it's those specific details that bring a setting to life. There are at least two settings in my head where I've spent time and where I want to set a novel, but I haven't quite found the right story for those places yet. It's something to aim for, anyway!